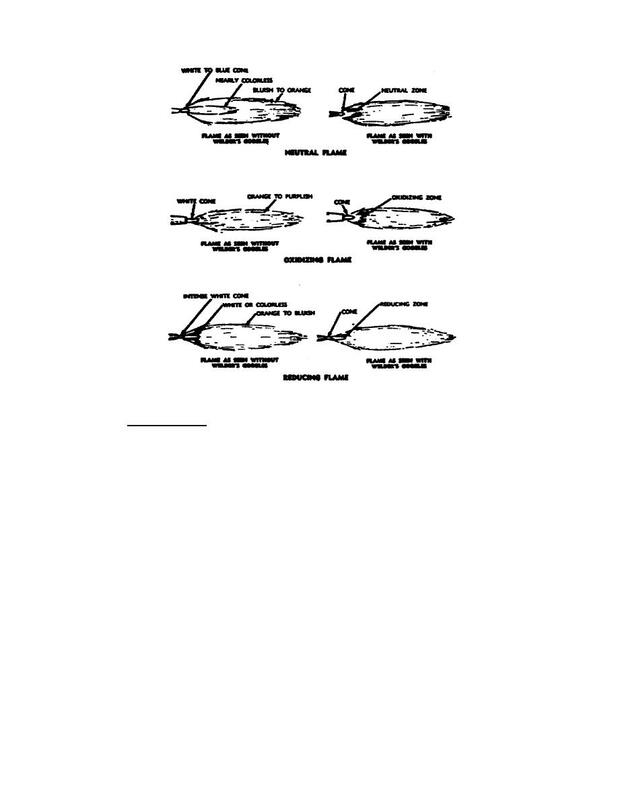 Home > Ordnance Documents and other related manuals > > Figure 11. Oxyacetylene Flames. begins when the feather disappears. and clear. The metal flows easily without boiling, foaming, or sparking.